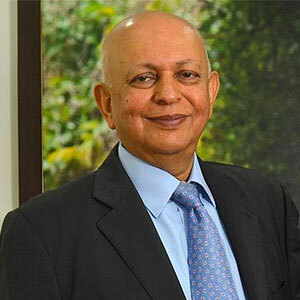 In the financial services industry, Hemendra Kothari, is something of an elder statesman, having bet on the sector decades before it even became a sector. Hemendra, whose great-grandfather was one of the founders of the Bombay Stock Exchange, owns 60% of investment firm DSP BlackRock. He started his career with D.S. Purbhoodas & Co. before founding DSP Financial Consultants in 1975. The firm later partnered with Merrill Lynch, to which he eventually sold his 57% stake in venture in 2 tranches. He runs the Wildlife Conservation Trust that works with 82 national parks and reserves across 15 states.